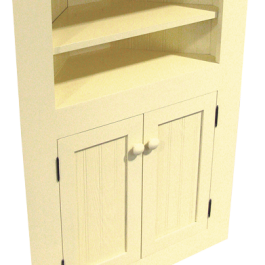 Corner dining room display hutch with doors. Glass was installed by client after delivery to prevent breakage during shipping. 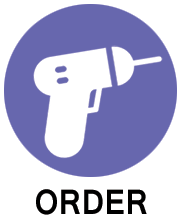 With over 40 color options, and two finishes, our solid pine furniture can coordinate with nearly any decor. 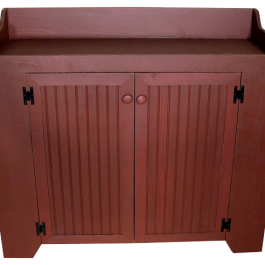 This custom Old Burgundy dry sink is huge at 4 feet wide, this Old Burgundy dry sink seems much larger than our standard 2 and 3 ft. dry sinks. 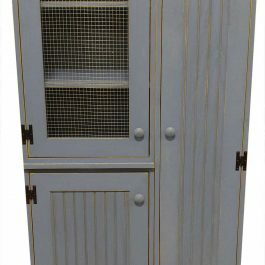 This custom storage hutch has multi-functional storage with places for jackets and everything else. 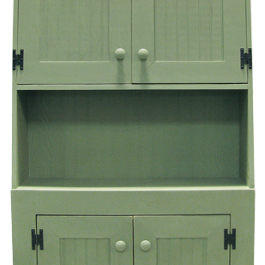 This small pine cabinet is made to tuck into a corner – a sadly underused part of many rooms! 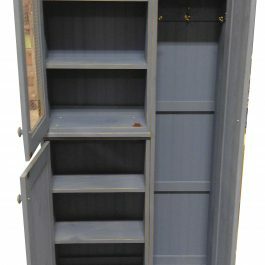 This is based on our standard cantback hutch, but doors have been added to the top angled section.